Even as Special Counsel Robert Mueller prepares for his still-mysterious big endgame against Donald Trump (which will absolutely not consist of merely filing a report and going home), federal prosecutors for the Southern District of New York are making their own big moves. 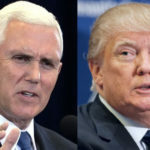 In fact their latest move reveals that they’re directly targeting Trump’s corrupt finances – and they may be targeting Mike Pence as well. The SDNY, which has already formally accused Donald Trump of two campaign finance felonies in its Michael Cohen filings, has now subpoenaed the records from Trump’s inauguration committee. Why is this important? As Palmer Report and others have been documenting for the past two years, much of the money donated to the inauguration came from fake people and fake locations, almost certainly a front for illegal foreign donations. In addition, most of the money ended up either going into the pockets of Trump and his pals, or vanishing entirely. The inauguration committee records, which the SDNY is scooping up according to ABC News, are a clear sign that Trump is being targeted for the money he siphoned off for himself. Various major media reports have suggested that any number of people around Trump had their hand in the inauguration till as well, so this could lead to numerous indictments. But the most noteworthy name involved might be Mike Pence. Back in December of last year, Palmer Report brought you the story of how Chris Christie wanted to spend the inauguration donations to fund the transition team, which is how it’s supposed to work, but Donald Trump told Christie he wanted to stick the money in his own pocket instead. After Christie explained that this was illegal, Trump fired him, and put Mike Pence in charge of the transition team. The only reason for Trump to put Pence in charge would be that Trump knew Pence would let him embezzle the money. If the SDNY can find records to prove this, Pence is going to prison.